A wrought iron frame in Contemporary Silver Leaf is the perfect accompaniment to the shimmering blown glass balls that create this chandelier. 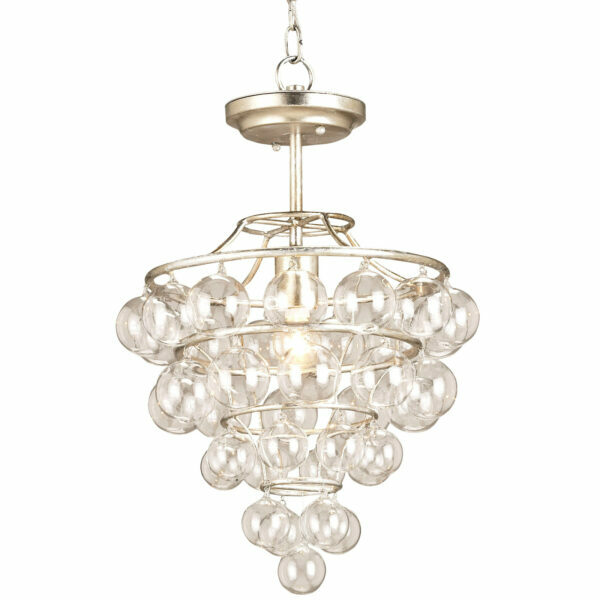 The glass balls gleam with reflected light making this a magical addition to any setting. Some assembly is required to complete this piece.